Wait, Who's Cutting Pell Grants? And Why? 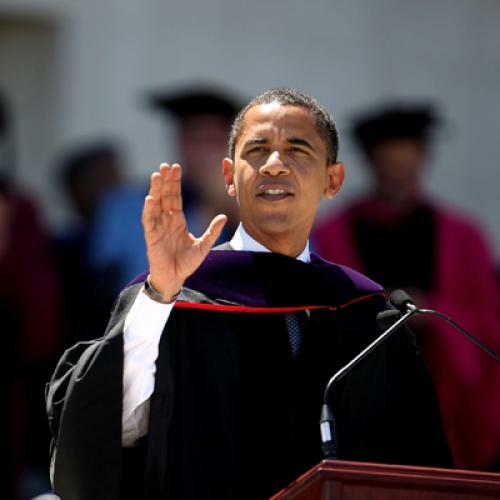 Reports that President Obama’s budget request would cut Pell Grant funding first began to circulate over the weekend. If you happened to see those stories, you may have reacted the way I did: What? Wasn’t the whole point of the Obama budget to spend more money on education? Isn’t this just as bad as what the Republicans are doing? And if you happen to be a college student, you may had a more practical and urgent question: What’s going to happen to my financial aid? It's not easy to sort this out. But the quick answer seems to be that, if Obama gets his way, Pell Grants would provide basically the same academic-year assistance to basically the same population that it does now. The one key difference would be additional grants available to students who study year-round and take extra classes. They are a new, unexpectedly popular feature of the Pell Grant program: About 800,000 Pell Grant participants are using them. Obama's budget would end those grants starting in the summer of 2012. But Obama's proposed reduction comes after two years of bolstering student aid. No less important, Obama's cut is far smaller than the reduction than the GOP would impose. Although House Republicans haven't provided details of their long-term plans for the program, their rhetoric and their existing proposals suggest they would cut Pell Grant funding at least in half. Awards would drop dramatically, starting with this fall's grants, and making it difficult if not impossible for millions of students to attend college. Why is that? A long, wonky explanation follows. It is based on conversations with people familiar with education funding and the budget process, including one senior administration official. Let’s start by clarifying that there are actually two separate, but related issues here. The first is about what happens for the remainder of the fiscal year, which ends in September. Does Congress pass spending bills that would give the program $24 billion in annual funding, as Obama proposed in last year's budget, or does it reduce spending so that the annual allotment comes to $17.5 billion, as the House Republicans on Friday proposed. Obama's requested funding would preserve the program, as is, through the end of the 2011-2012 academic year. The same people would be eligible for it and they would get the same grants. The Republican alternative, by contrast, would require substantial changes. Grants would fall by about 15 percent, according to the Institute for College Access and Success (TICAS). For the 2011-2012 academic year, which starts in September, the maximum possible grant would apparently fall from $5,550 to $4,705, unless Republicans instead decided to somehow limit eligibility. Keep in mind that Pell Grants are for students in need—and there are a lot of students in need right now. High unemployment means you have a lot of young people who have gone to college because jobs aren't available and a lot of families who can't pay tuition bills because their incomes have fallen. At the same time, revenue-starved states are raising tuition at public colleges and universities in order to cover their own costs. In all, 8 million students got Pell Grants this year. Also keep in mind the calendar. If you’re a college student or the parent of one—or if you have been in the past—then you know the time to make plans for this coming fall is now. Particularly if the debate over spending drags on past March, students, families, and college officials are going to have a real problem making financial arrangements. Beyond this academic year, things get a little more complicated. If Congress were to give Obama the spending reduction he's just proposed, the program’s annual funding in fiscal 2012 would be $36 billion—a lot more than the $24 billion he requested for the current fiscal year but still less than the $44 billion it would apparently take to continue funding the program at current levels.Obama is seeking this reduction, in part, to keep overall non-defense discretionary spending at present levels--a commitment I really wish he hadn't made, precisely because it would result in some painful spending reductions. Where would Obama find the savings? Some would come from ending a loan interest subsidy and some would come from improving income verification, moves even student advocates aren't protesting. The other big change is in those supplemental grants. Under current law, students who take classes for three instead of the usual two terms can get an extra grant, as long as they also end up with more than a full academic year of credits. These grants only became available a year ago, in the 2009-2010 academic year. But the program was a lot more expensive than anticipated. The elimination of Pell grants for summer courses during college seems riskier. The typical college student today is not the traditional college student who finishes in four years. Many are working at the same time and need to organize their classes around their work schedules. For them, summer classes can make a big difference. Administration officials say the extra money doesn't boost graduation rates, which is one reason they are the most logical place to cut. And, whether or not that's true, the arithmetic is pretty clear. By eliminating summer support in the budget request, the administration preserves both the program's eligibility standards and its maximum awards. That's no small thing, given how the program has grown. It's also a stark contrast to the approach Republicans are taking. House leaders haven’t published a formal budget proposal for 2012. But they have already said that they want to freeze domestic discretionary spending. If they decide to keep Pell Grant funding at the level they’ve just proposed for the remainder of this year, it’d be a massive cut that leaves funding fare below Obama’s proposed commitment. In raw numbers, according to an outside budget expert I consulted, the Republican allotment in 2012 would be about half of what Obama would put into Pell Grants. And while it’s unclear how they’d structure the cut, the maximum award could easily fall by thousands of dollars, thank in part to a quirk in the program’s funding structure. It's no stretch to say that, within a few years, grants could fall to about one-third of their present level. While making many deep and painful budget cuts, [Obama] prioritizes funding for the federal Pell Grant program … We applaud the President’s commitment to maintaining this crucial investment in our nation’s economic recovery and keeping the maximum Pell Grant at the current level of $5,550. In stark contrast with the President’s proposed budget, the U.S. House of Representatives is debating drastic cuts to the Pell Grant program. … . These cuts would reduce or eliminate Pell grants for more than eight million students, making it impossible for many to start or stay in school. Update: David Leonhardt has more analysis. Also, an administration official contacted me to clarify how the change in those extra grants will work and how many students get them. I've changed the text accordingly.